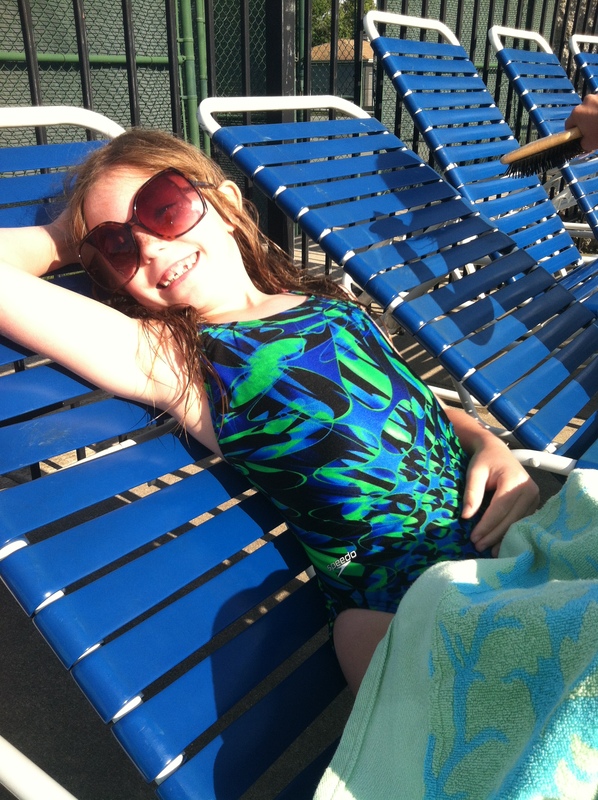 I’ve been lucky enough to spend all week with my favorite seven-year-old on the planet. We’ve done lots of cooking. Lots of p’s around these parts. 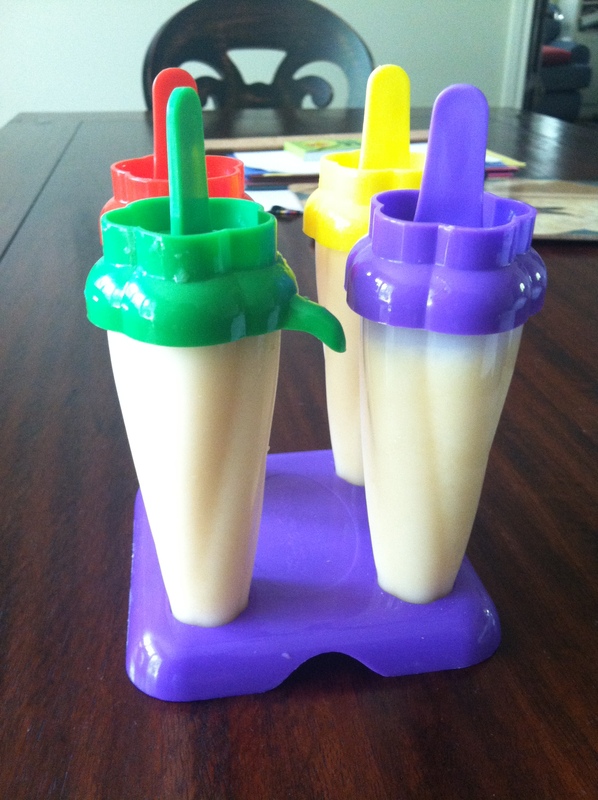 Popsicle molds are a fabulous way to cook with the kids AND they’ll only set you back about $4 at Bed, Bath and Beyond. Since I know you all have those 20% off coupons and assuming I’ve done my math correctly, we’ll drop that down to a mere $3.20. 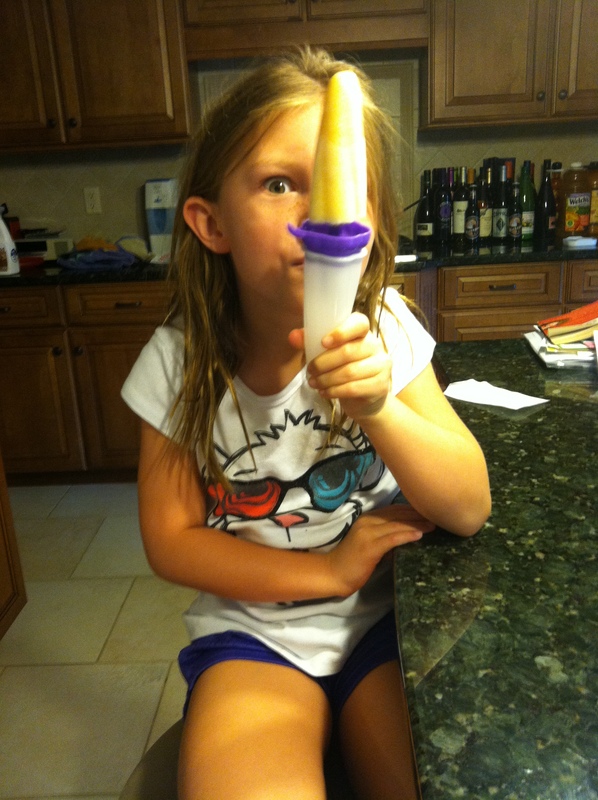 These popsicles take about three minutes to make. In addition to being fast, healthy and delicious, they are completely customizable to whatever fruit you have in the fridge or freezer. In a blender/magic bullet/food processor, blend all of the ingredients together. Feel free to leave out a couple peaches to stir in at the end if you prefer some chunks. 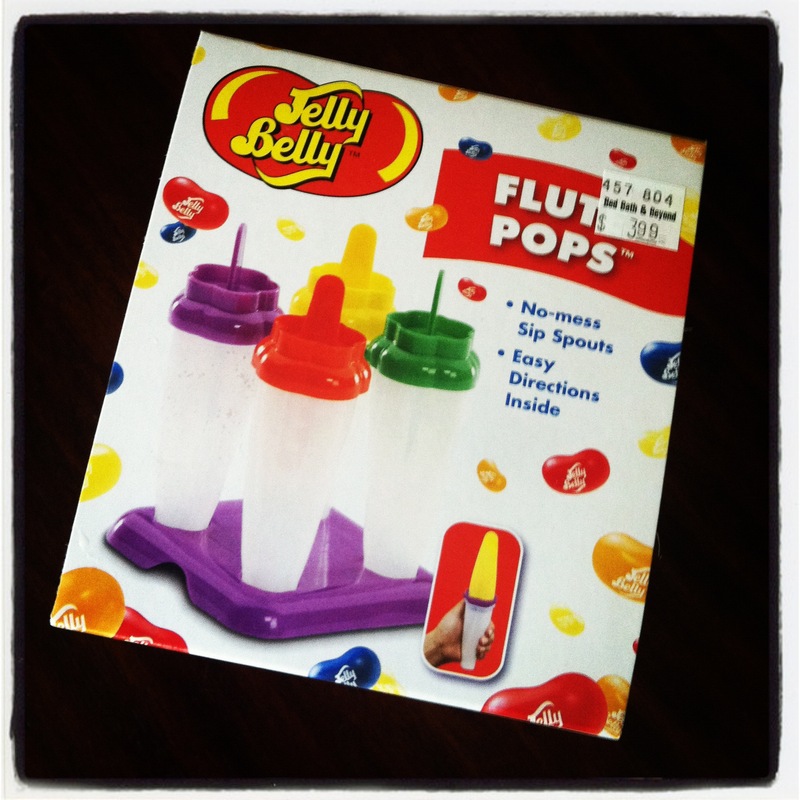 Place a dollop of yogurt on top of each one. Place caps on molds and freeze for at least 3-4 hours. These must be completely frozen in order to come out of the molds properly. Our second version was raspberry cream. Throw a handful of raspberries into the mix and put a dollop of yogurt beneath and on top of the mixture. Delish! Now go relax in this 3,000 degree weather and enjoy a Peach Pop or four. 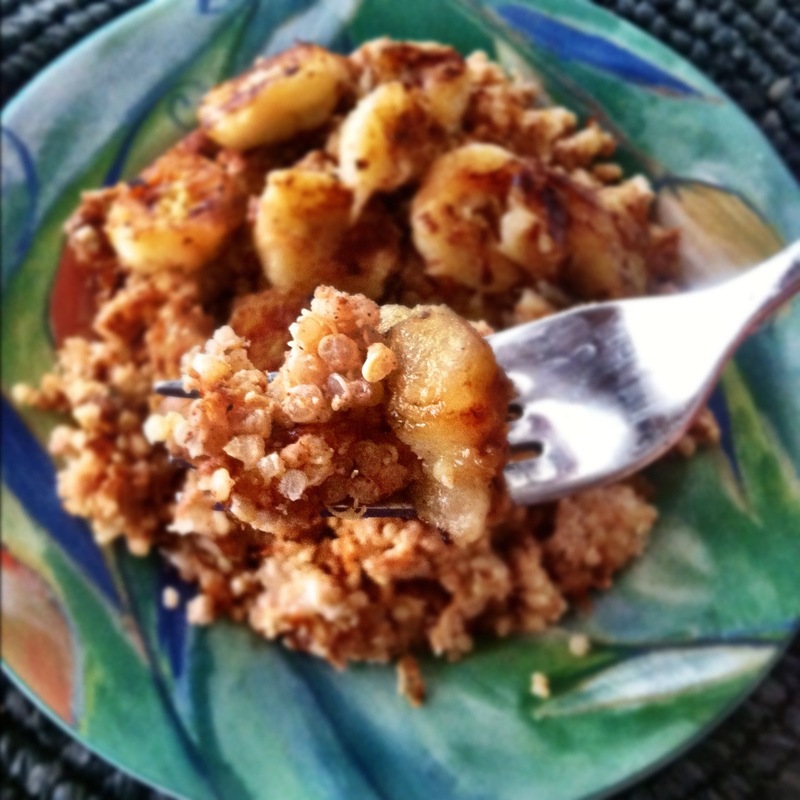 If you’re not in the mood for cold oatmeal cereal, maybe you’ll be in the mood for hot quinoa. Ya know, since it’s only 91 degrees outside. I was reading Self magazine before bed last night and was pleasantly surprised to find a multitude of awesome recipes featuring superfoods like quinoa (pronounced keen-wa), salmon, eggs, lentils and sweet potatoes. 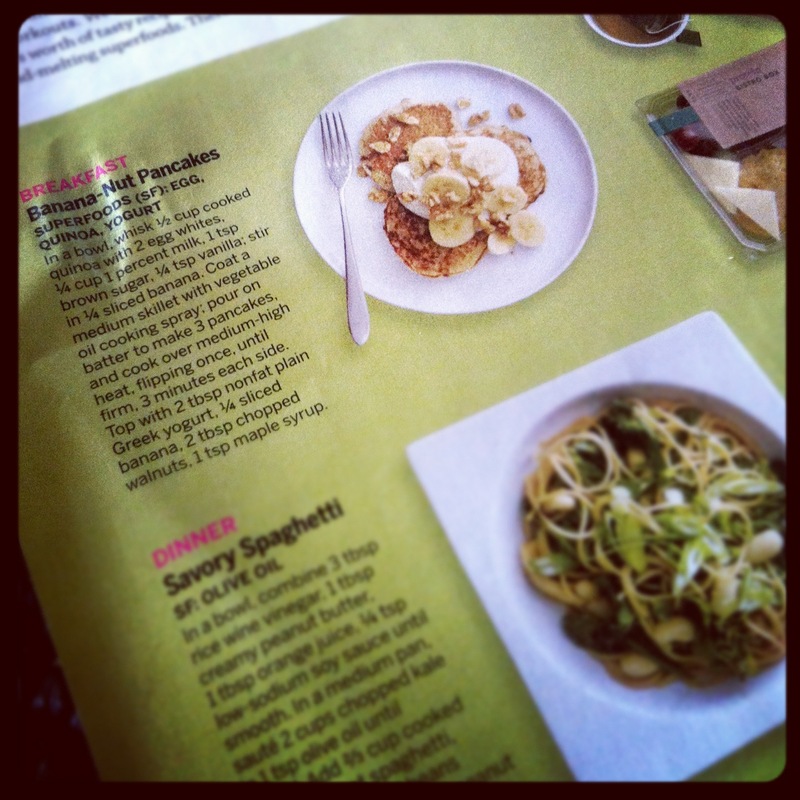 They even had a spread featuring vegan recipes like creamy alfredo with peas. If you haven’t heard about quinoa’s magical powers yet, it’s about time you do. 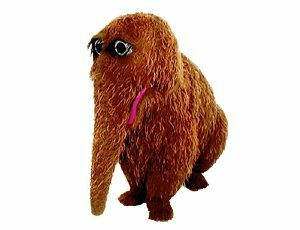 Let’s have a little health chat. 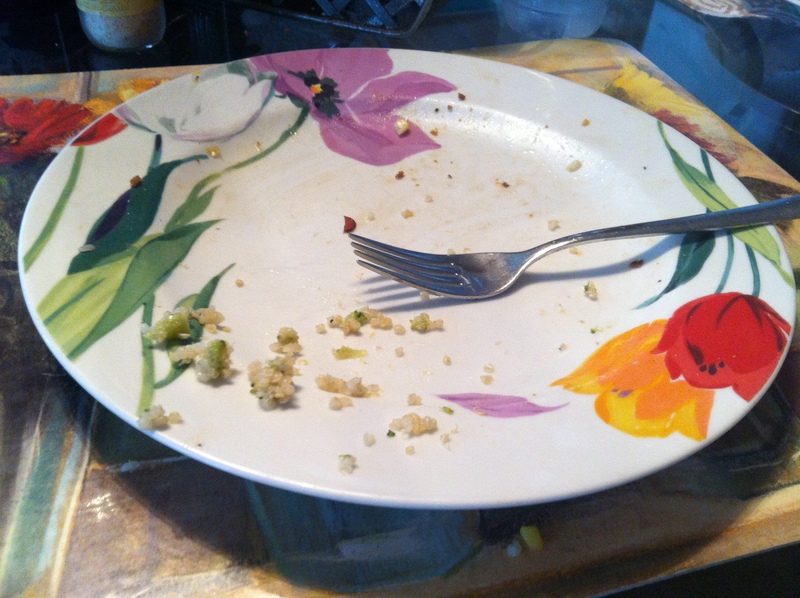 Quinoa is a complete protein, meaning it has all nine essential amino acids, which is rare in the plant world. It is a gluten-free grain-like seed packed with protein, fiber, iron, calcium, magnesium and manganese. It is believed that quinoa may be especially beneficial for people who suffer from headaches, atherosclerosis and diabetes. It cooks in about 15 minutes and has a texture similar to rice with a mild, nutty flavor that can be turned into numerous sweet or savory dishes, like quinoavocado salad. I throw it in everything from salads to soups to oatmeal. I always get it at Trader Joe’s because it’s only $3.99 for a pound; though I hear you can get big bags at Costco, as well. Breakfast this morning was inspired by a recipe from Self called Banana-Nut Pancakes, featuring quinoa and eggs as the superfoods. 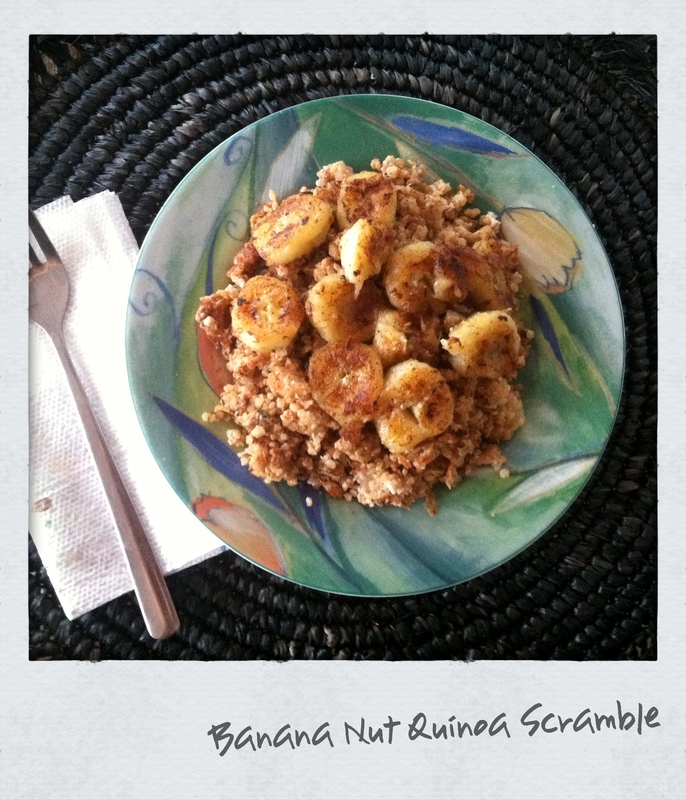 I decided to change it up and make an eggy quinoa scramble with caramelized bananas and toasty walnuts. It sure is super food. Heat a medium skillet over medium heat. Toast walnuts for 5-10 minutes, or until golden brown. Remove walnuts from pan and set aside. Leave pan on for the scramble. Meanwhile, whisk together cooked quinoa, egg whites, milk, banana, vanilla and cinnamon together in a 2-cup liquid measuring cup (for easy pouring) or large bowl. Add toasted walnuts to mixture. Spray the same pan with cooking spray and pour mixture into pan. Scramble quinoa over medium heat until golden brown. Heat a small pan over medium heat. Add butter. Add bananas and cook until browned, about 5 minutes or less. 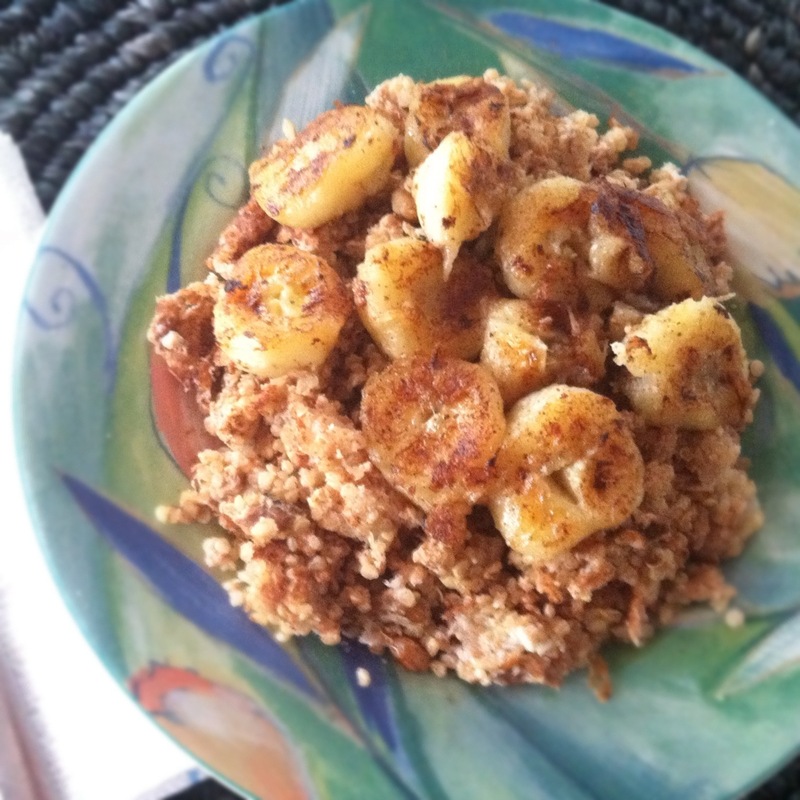 The browned bananas really take this recipe to another level. 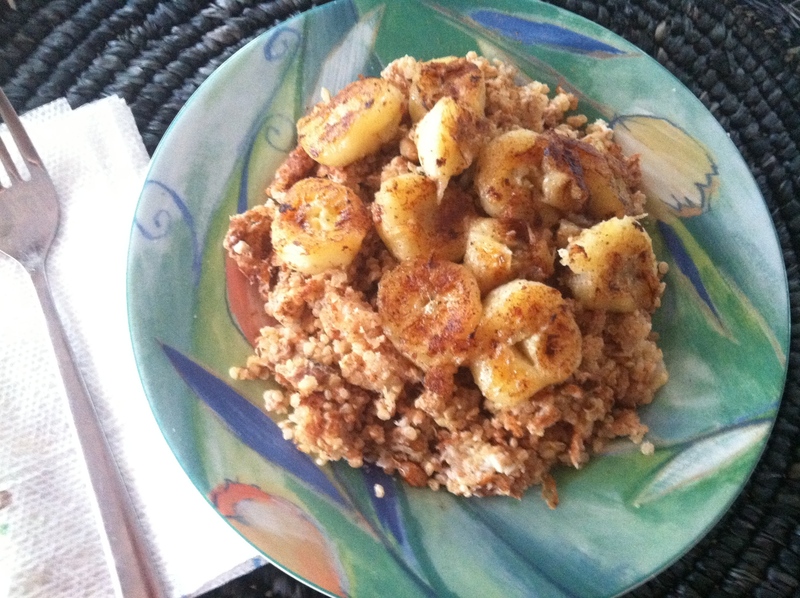 In other words, don’t bother making the quinoa without the caramelized bananas. 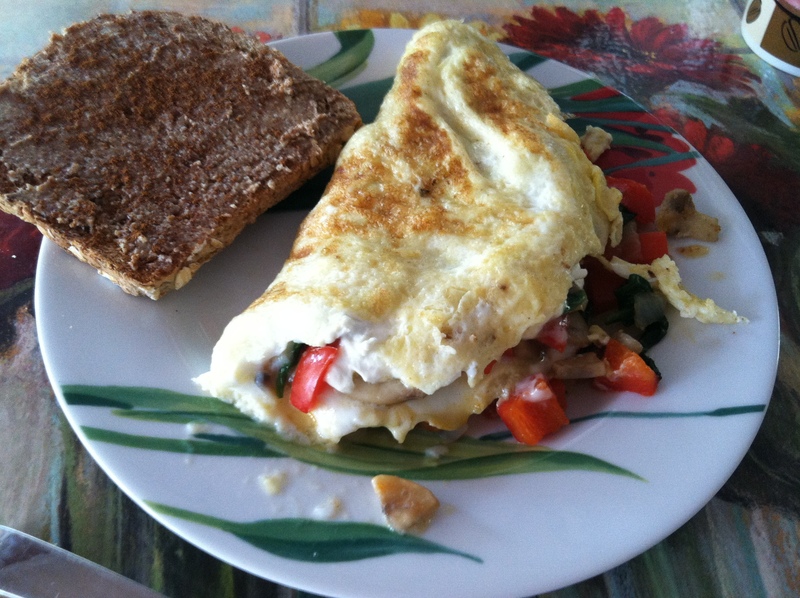 Try this next time you have the time to make a healthy, delicious breakfast. I guarentee you’ll be keen for keen-wa, too. Skipping breakfast is like not brushing my teeth in the morning. Being too busy or running too late are not in my breakfast vocabulary. I run after the bus and risk being late for work/class all for the sake of eating in the morning. Breakfast > punctuality. I go to bed pondering whether I have the time and/or ingredients to make coconut pancakes. Then I debate if I have time to go to the store tomorrow to get the ingredients for coconut pancakes so I can make them the next day. 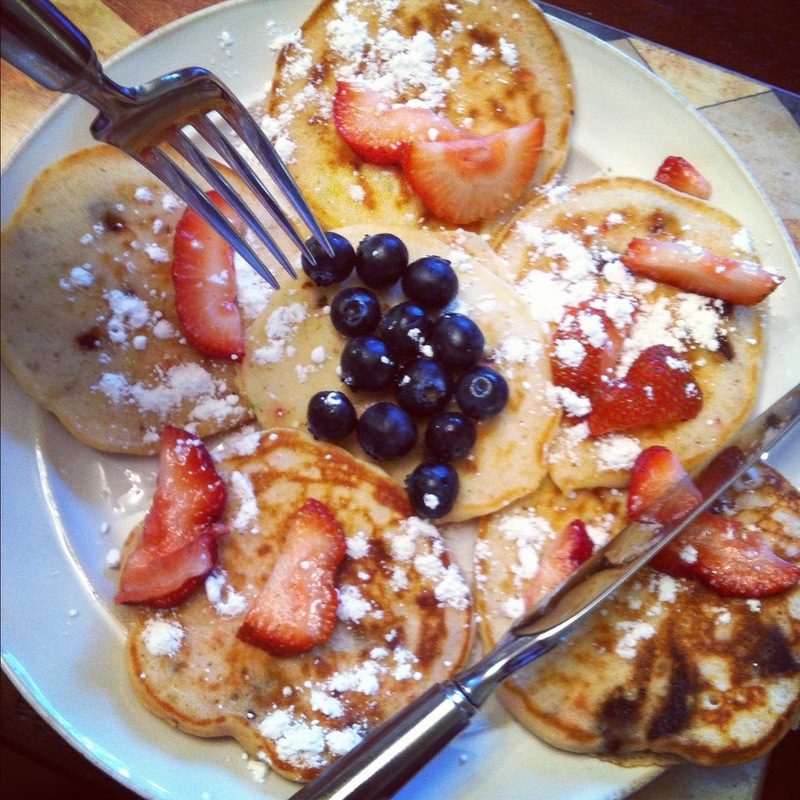 I wake up excited to greet my belly with fab food. The only issue is that I wake up starving every morning without fail and am often too lazy to take the time to make pancake batter or stove top oatmeal or Father’s Day veggie omelettes. 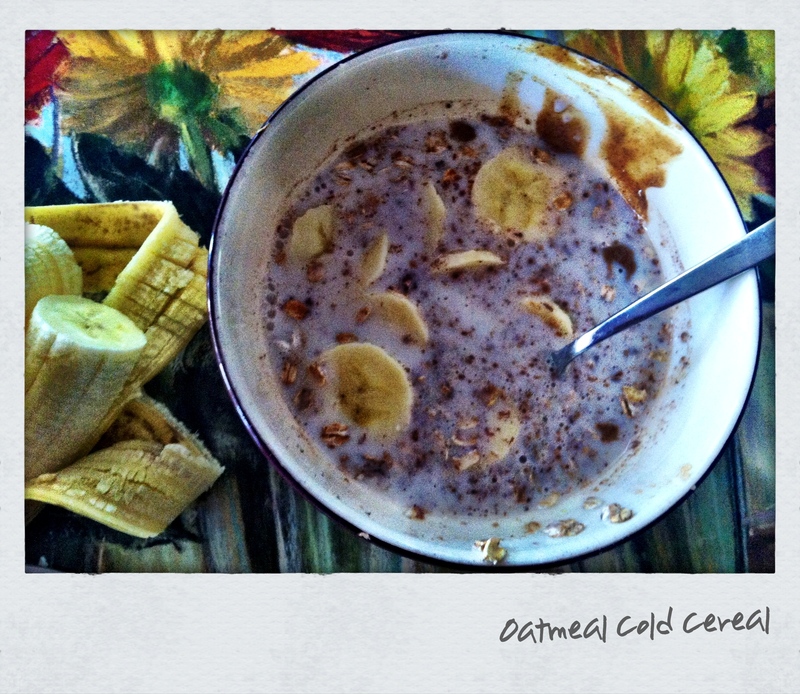 And when it’s 90 degrees out, I don’t want hot mushy oatmeal, anyway. So instead of resorting to sugary, over-processed boxed cereal stripped of its nutrients and fortified with every vitamin and mineral in the book, I like to turn oats into cold cereal. This isn’t an earth-shattering recipe; it’s just a healthy and quite delicious alternative to boxed cereal and hot oatmeal on sweaty days when you think your skin may melt off. Stir together oats, flaxseed and cinnamon. Pour milk over top and then add sliced banana. Place tbsp of almond butter on top, breaking apart with a spoon to distribute. No one hates chunks of almond butter. I don’t think this needs any added sugar because it’s sweet from the banana, but feel free to add maple syrup or sugar to taste. I love the texture of uncooked oats and I think this is a great option if you’re not in the mood to eat hot oatmeal or don’t have the patience to cook it. In other news, I’ve been listening to Usher’s song “Show Me” on repeat at least ten times while I wrote this post. It’s a really great song. Almost as good as breakfast. …absence makes the heart grow fonder, eh? 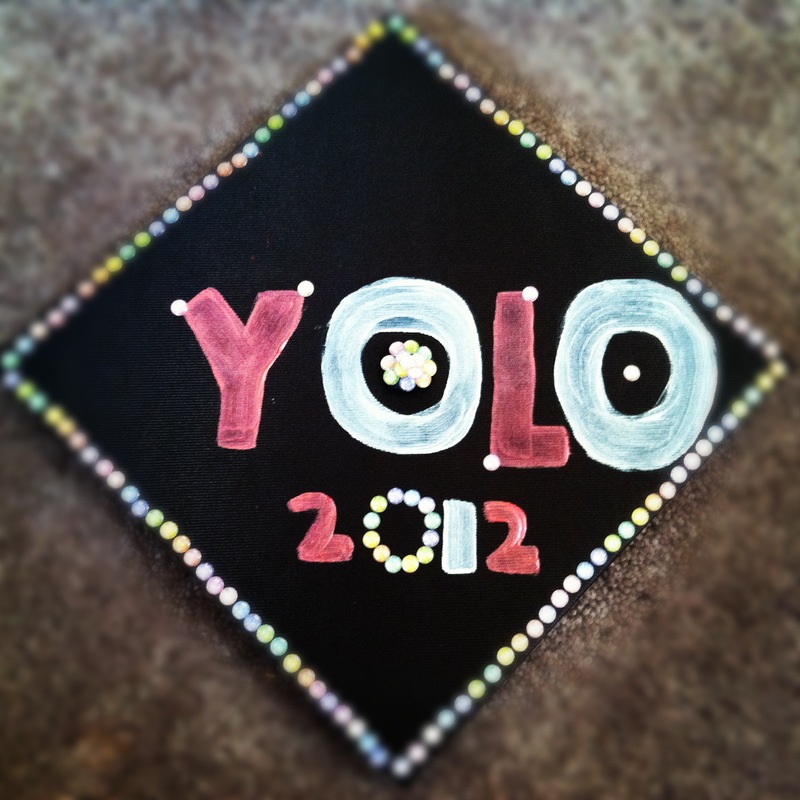 On June 10th, I graduated from The Ohio State University with a degree in nutrition (dietetics). I’ll be back in a couple of months to pursue my masters and become a Registered Dietitian. The last month of school was full of Jimmy John’s vegetarian-hold-the-mayo-add-mustard unwiches along with some laughing, crying and spending time with my best friends. 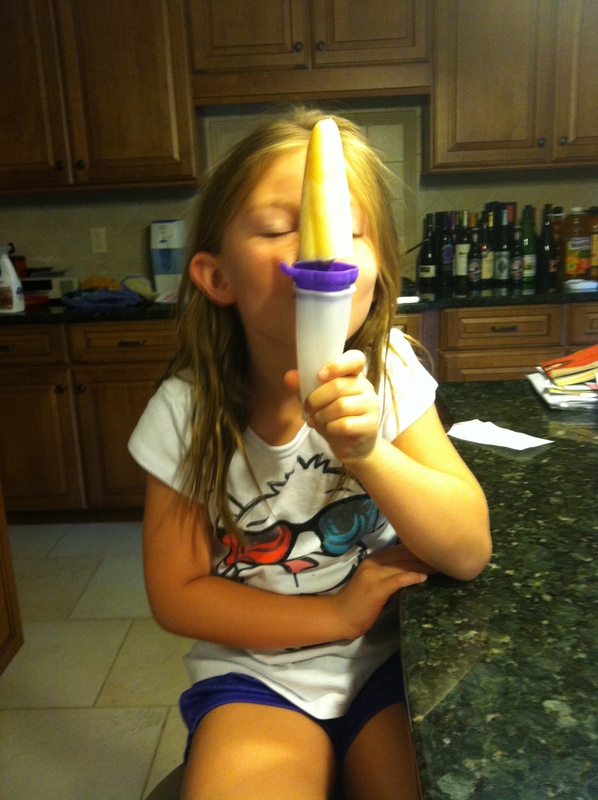 My diet revolved around Amy’s burritos, eggs, tuna, and smoothies. The last month of school was not full of healthiness and cooking and blogging, as you and my tight pants are very well aware. 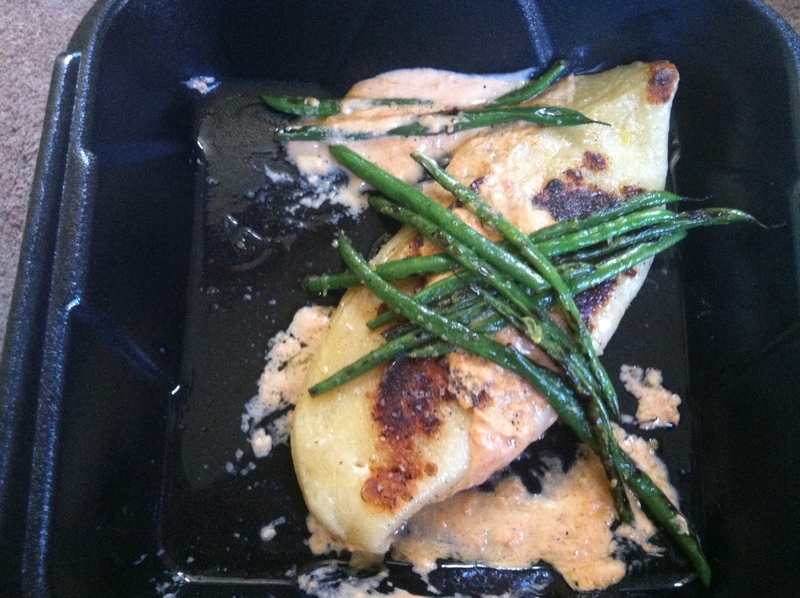 The best thing I ate that month was this beyond divine giant mushroom pierogi from the Sophie’s Gourmet Pierogi food truck on the corner of Lane and Kenny. If you’re in Columbus reading this, you’d be a fool not to go and get one. I miss it already. Are my four awesome roommates–especially Sam’s sock buns. And undersized people in oversized sunglasses. And high school football games. 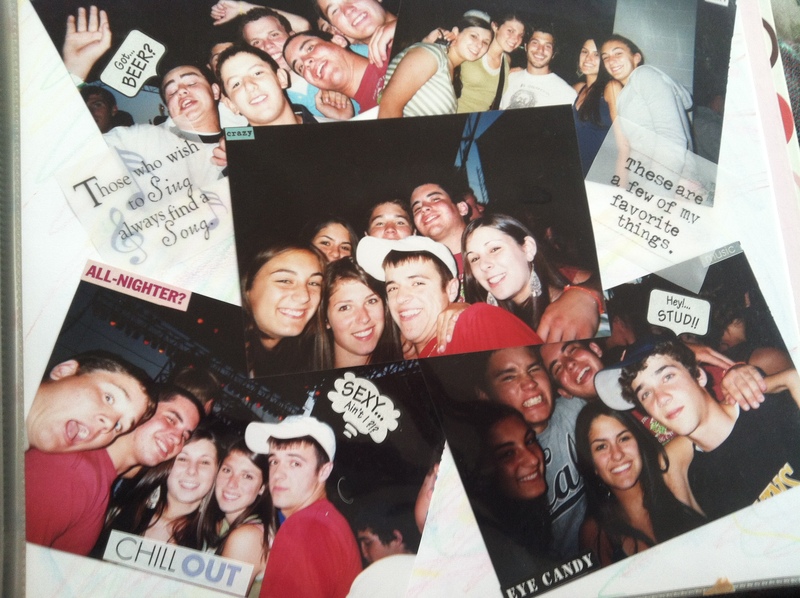 And scrapbooking silly high school concerts that I’ll never forget. 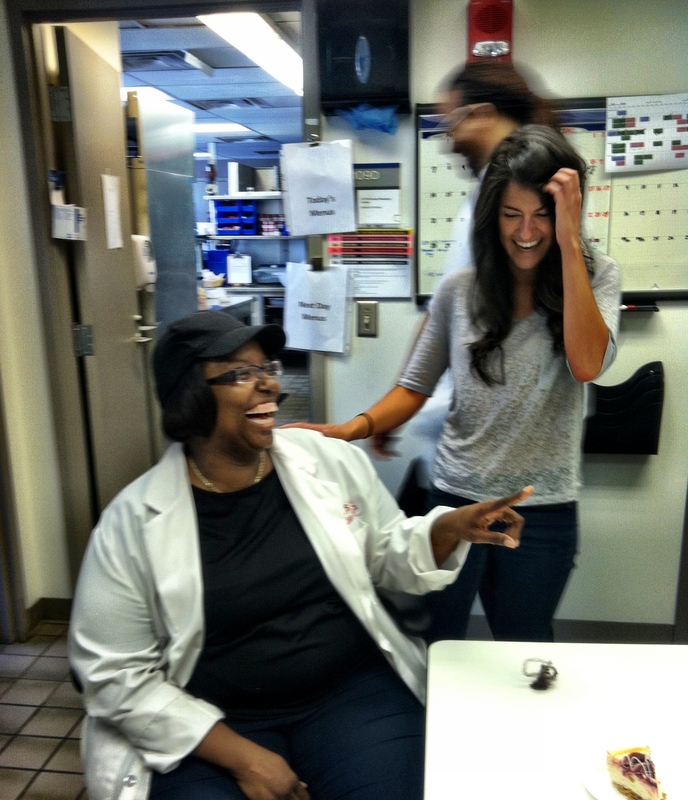 And my amazing on-campus job at the bionutrition core of the Clinical Research Center. 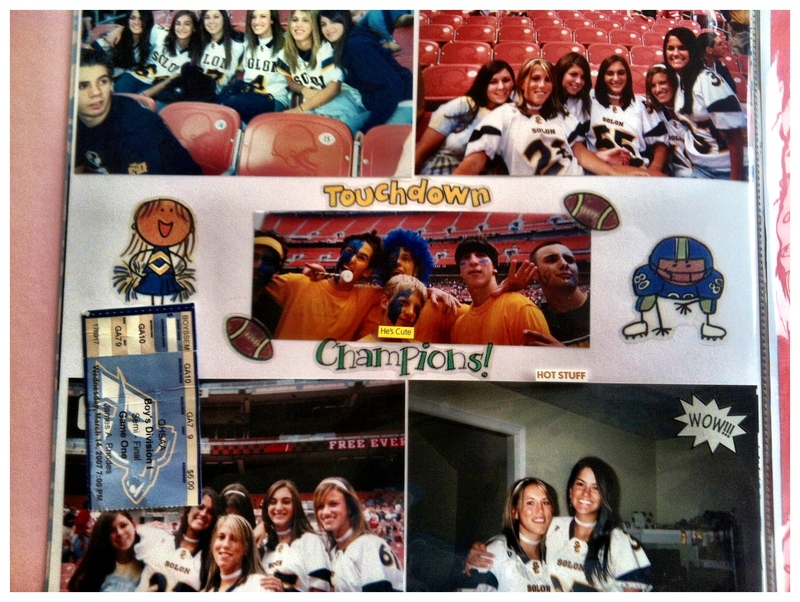 And bar crawl with the amazing best friends I made in college. 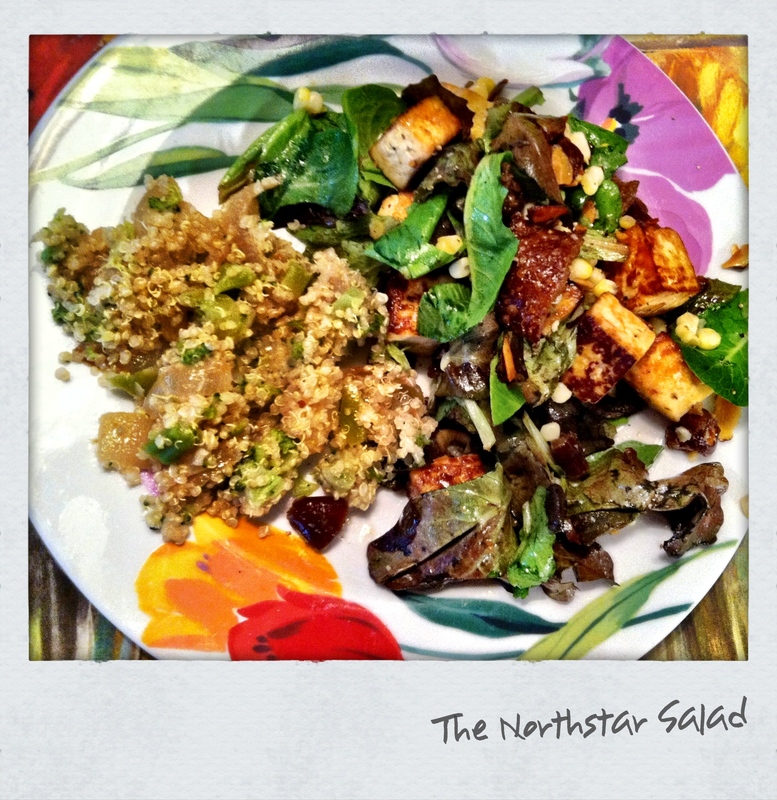 And Northstar‘s village salads. Oh how I miss this salad. What better to way to come back with a bang then to attempt the impossible? Replicating this beyond foodgasmic salad is pretty much a joke. You can’t duplicate perfection, especially without avocado and tomato. But I kind of just did. *All numbers are approximations–I didn’t measure! Toast almonds at 375 degrees for about 7-10 minutes or until golden brown and aromatic. Keep the oven on for the croutons. Once almonds are cooled, combine all ingredients in a large serving bowl and set aside. I used a whole wheat bagel that was a few days old because it’s what I had on hand but feel free to use whatever bread you want. Slice bread into 1/2-1 inch chunks and spray liberally with cooking spray. 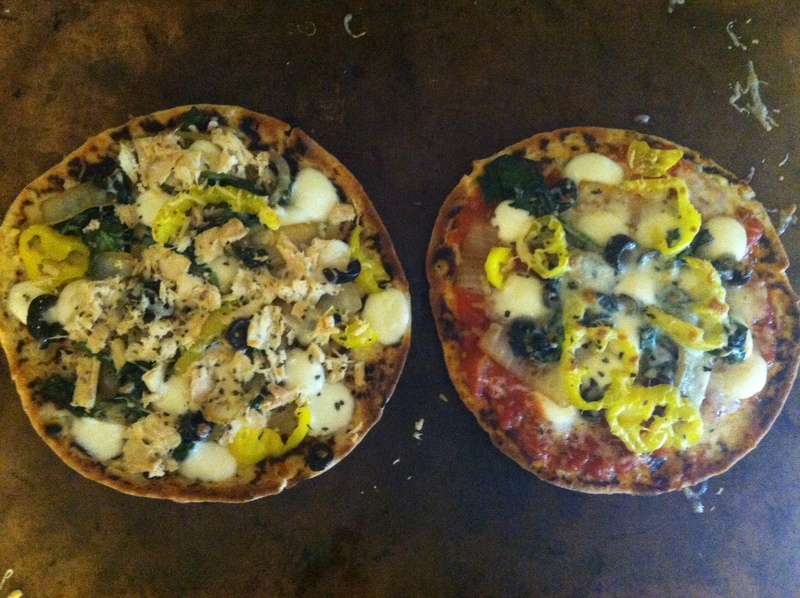 Season liberally with sea salt and optional garlic powder. Toast in oven until crispy (watch closely), about ten-fifteen minutes. 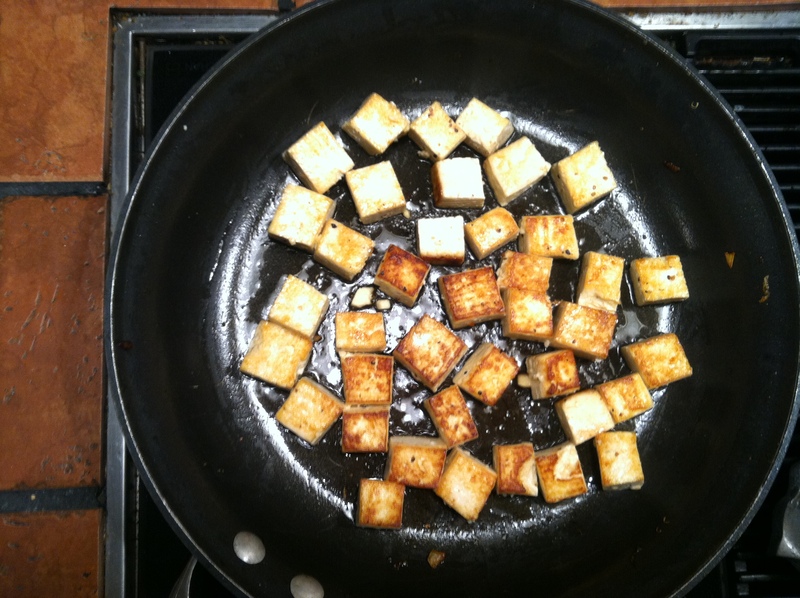 Place cubed tofu in your favorite dressing and let it marinate for at least a half hour. You could also just cook the tofu without the marinade. 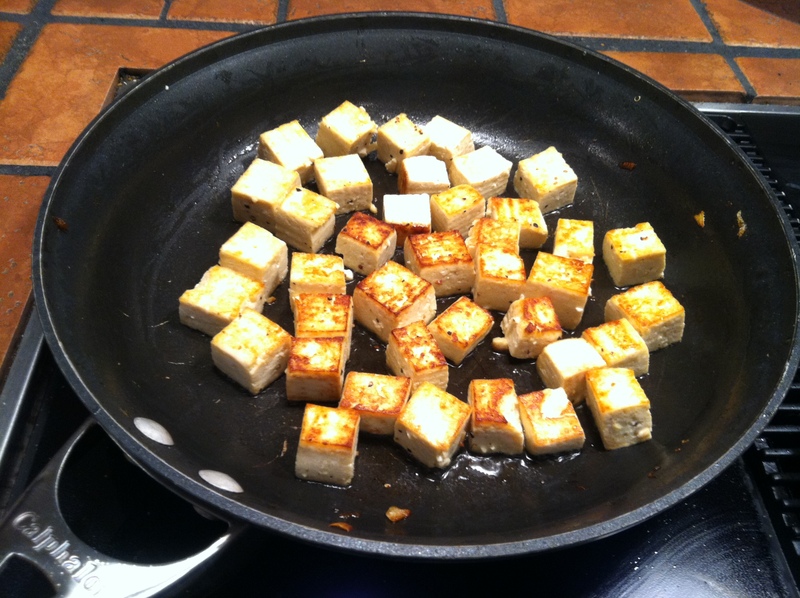 To cook tofu, heat a large skillet with one tbsp oil over medium heat. Once hot, add tofu. It should sizzle once it’s placed on the pan. Cook until browned, flipping until all sides are browned. Be patient–this may take a little while. Dressing: I used this one from Daily Garnish but feel free to choose your own! Toss everything together and enjoy! 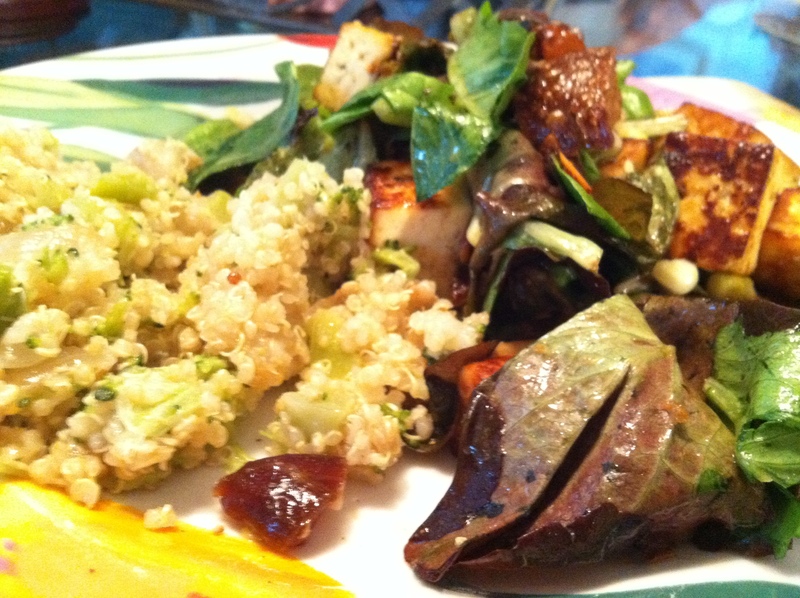 I served this with a caramelized onion and broccoli quinoa pilaf…recipe to come. I wish I could replicate every hilarious roommate dance party to “Call Me Maybe,” every weekend brunch at Tasi, every walk through the oval on 90 degree days, every night we regretted calling the pizza guy, every trip to Northstar and Katzingers, every day of college when we did our very best to soak up every moment of life and then some. The next best thing is to remember the times we had as undergraduate buckeyes finding who we are, discovering what we’re supposed to do with our lives and exploring what we really like to eat. Nothing like a Northstar salad to jog my memory.